This entry was posted in Art and tagged cat, illustration, Japan, Japanese, luck, lucky, lucky cat, maneki neko, watercolor. Bookmark the permalink. 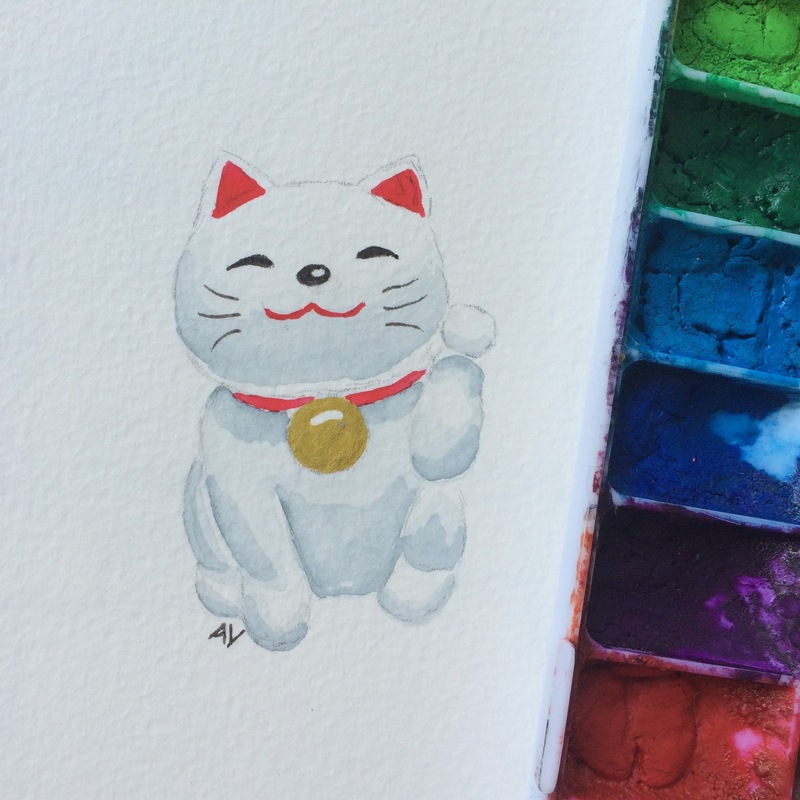 1 Response to Today’s watercolor: Maneki Neko! That. is. ADORABLE. I have a friend who collects maneki neko, and I’ll have to show this to him. Well done! The face even conveys a sense of personality, to me at least: friendly with a sort of adorable pride.